It is important to have clarity around who your ideal customer avatar is. We think we can help everyone, which we mostly can, but to have a successful business we need to be talking to a specific group of people. For me, I help women that have a job, start an online business on the side using their knowledge and expertise. The conversations that have I with are vastly different than I would have with people who work fulltime in their business and want to start taking on employees. Both of these groups run online businesses but their needs are so vastly different. That is why, the more specific you can get, the better and easier it is for you. In this video I share a super simple way to help you get clear on who your ideal client is. I include how to use this knowledge to come up with lots of content ideas. 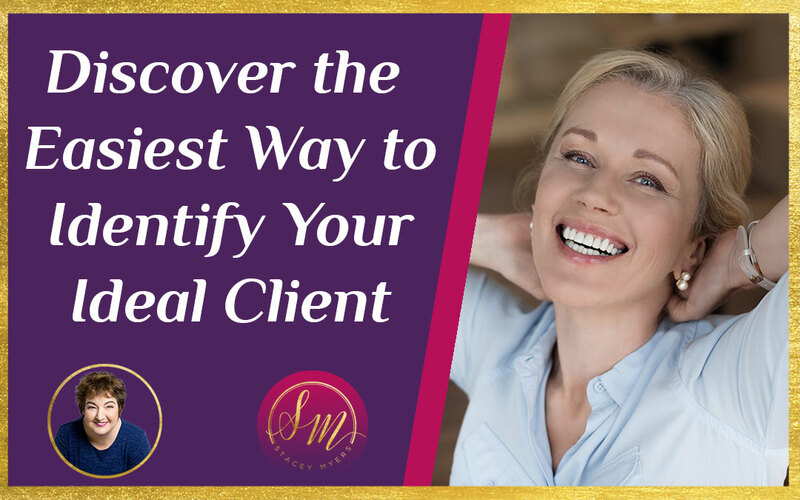 Now that you are clear on who your ideal client is then it is time to create your own free offer to show them how you can support them in getting the results they want. Click on the image to grab your free copy. Who is your ideal client? I would love to hear about them in the comments below. Getting started online can be really daunting. There is so much information out there, where does one begin? Who are the reputable people to learn from? What are the right things to do? You obviously want to achieve something and believe that being online is going to help you achieve your dreams or you would not be here. I left my profession and trained to be certified as a life coach. People were saying – you should get online and promote your business. I didn’t know what I was doing, I stumbled upon so many ‘do this and you will get these amazing results’ schemes it almost made my head turn. And yes, I did initially fall for a few. Whip up this website in 30 seconds, sell this product make loads of money, get 10 000 page likes in 1 day – you know the ones I mean. What I soon realised is that nothing happens that fast online. I have never met anyone that has actually been online for 5 minutes and made a million dollars. I have heard of people that have made a million dollars in 5 minutes but I can guarantee you they had been working towards that for many years. I am not going to lie to you – it is going to take hard work, time and perseverance, but the payoffs at the end are worth it. There are going to be times you wish you never started and think about giving up. You may feel like you are talking but no one is out there listening. This is how everyone feels at times – you are certainly not alone. Just keep going – don’t quit when you feel like quitting, it will be worth it in the end. What made the biggest difference for me was working out the key fundamentals that were necessary for my success online. They are not complicated or hard to implement, they just take a bit of knowhow and effort. I want your transition online to be as easy as possible. I want you to hit a home run with social media. I will be talking about this in my upcoming free teleclass – ‘The 5 Fundamentals of Hitting a Home Run with Social Media’ – where I cover the key structures you need to have in place if you want a firm foundation to build on. I am not going to promise you that you will get rich quick or sell a million books. What I will promise you is that if you follow the steps I outline you will have success online. How much success is dependent on you! Click the banner for more information or sign up below! If you can't make the time, sign up anyway and I will send you the recording.